Top: J Crew. Tank: H&M. 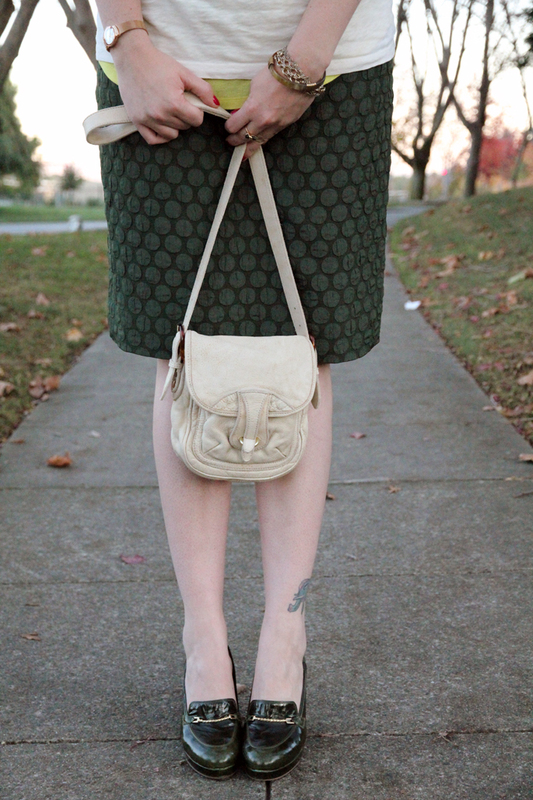 Skirt, Bag, Shoes: Anthropologie. Cardigan: Target. Necklaces: Crossroads (c/o), Kenneth Jay Lane (c/o ideeli). Bracelets: Kora (c/o), Vintage. Watch: Skagen (similar style). 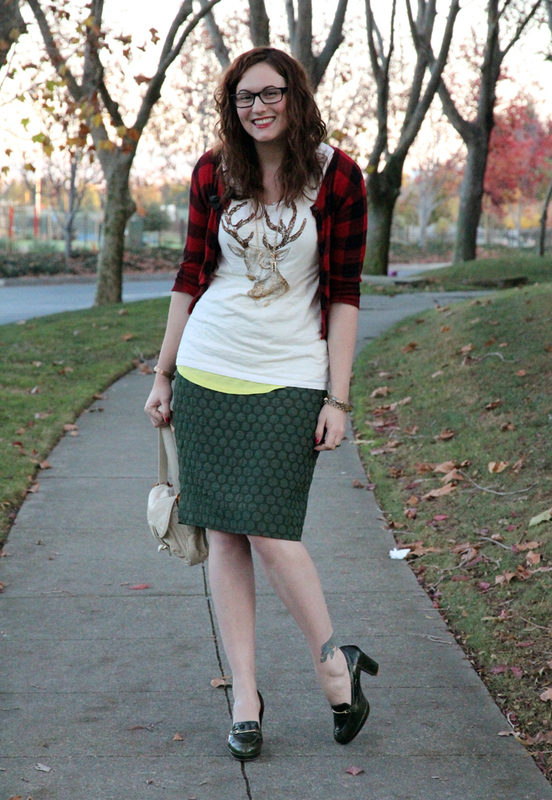 This outfit is some strange hybrid of Christmas cheer, a lumberjack, and a deer hunter. I’ve never chopped down a tree or gone hunting, but I am pretty excited for Christmas (and vacation snow)! 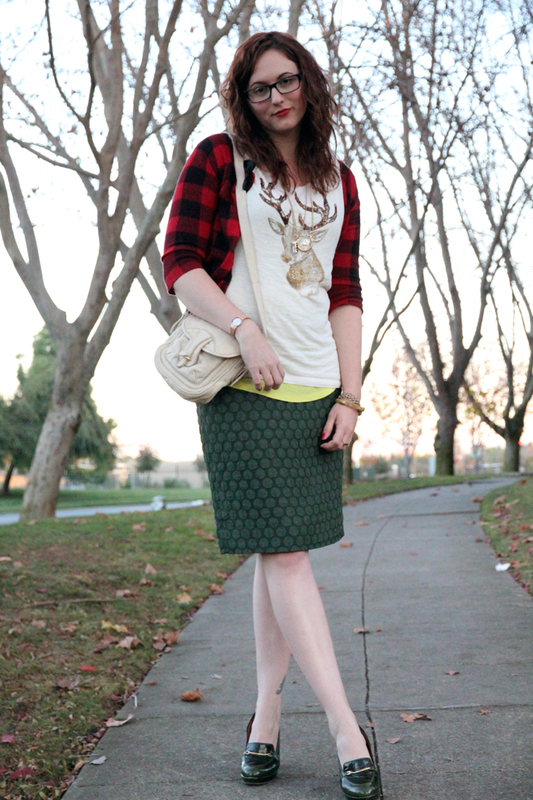 Also… this skirt reminds me of bubble-wrap. love the cardigan and top! so cute! Love your top! 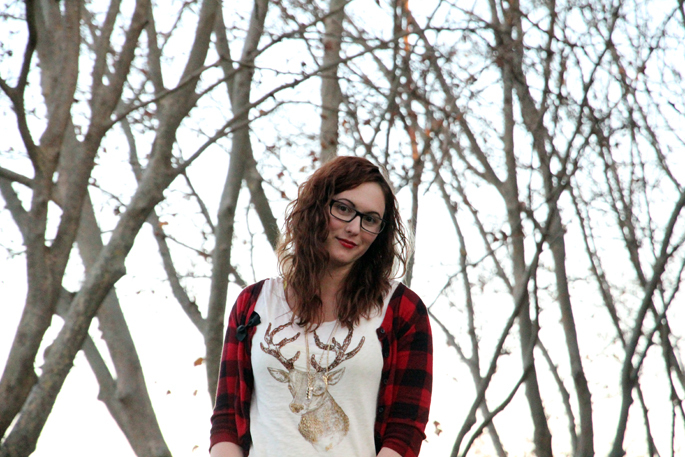 I am pretty much obsessed with anything that has a deer on it right now! 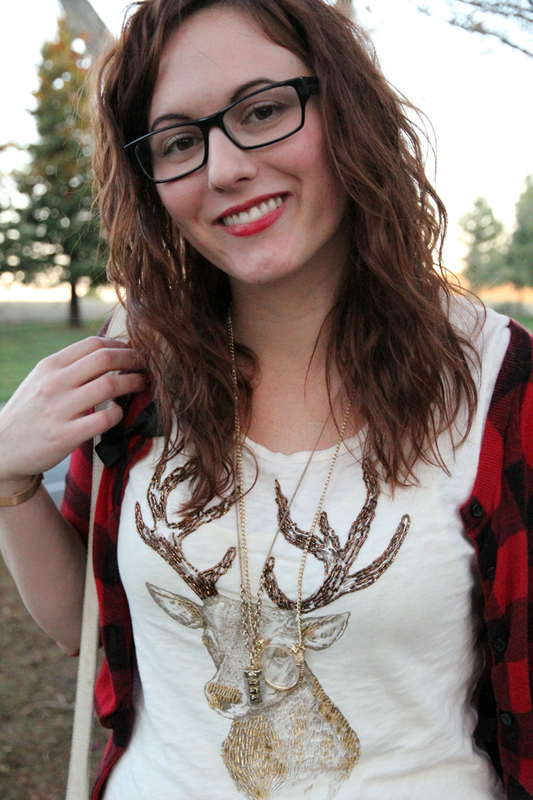 We just got a new necklace in at LYLIFclothing that is a deer with antlers, SO cute!